After watching Khabib Nurmagomedov (pictured) steamroll Edson Barboza at UFC 219, many in the MMA world couldn't help but think Nurmagomedov is the best lightweight in the game. 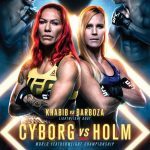 "UFC 219: Cyborg vs. Holm" goes down Saturday night inside T-Mobile Arena in Las Vegas, Nevada. The official weigh-ins for "UFC 219: Cyborg vs. Holm" took place Friday morning in Las Vegas, Nevada. Well, that took all of eight hours. 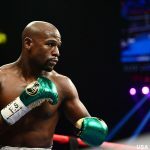 After UFC president Dana White claimed the MMA promotion was in talks to sign Floyd Mayweather, the boxing legend quickly killed the chatter. Boxing great Floyd Mayweather Jr. (pictured) is discussing a deal to fight in the UFC. Yes, you read that sentence correctly. Last month, former UFC welterweight king Georges St-Pierre submitted Michael Bisping unconscious to capture the middleweight crown. UFC president Dana White is pulling out all the stops on the promotion's return to his hometomn of Boston. 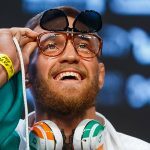 The last time Max Holloway lost a fight, it was to Conor McGregor. After Holloway easily disposed of Jose Aldo at UFC 218, McGregor wanted to remind Holloway of their 2013 tango.